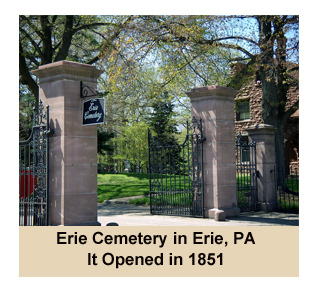 Rome Monument designs custom monuments and headstones for families that live in the city of Erie and other towns in Northwestern Pennsylvania. 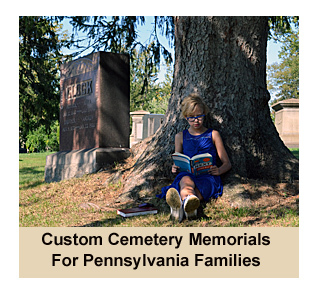 Since 1934, our family owned and operated monument company has been memorializing tight-knit families that call Western Pennsylvania their home. We honor the heritage and legacy of Pennsylvanians by creating heartfelt designs, unique artwork and just the right inscriptions. Our monument company, based in Western, PA prides itself on compassionate and professional service along with expert stone cutting, carving and etching craftsmanship. When a customer orders a monument or headstone, our monument designers start by creating a CAD drawing of the monument. One of designers then presents this to our customer for approval. Once the memorial design is approved, our craftsman take their time, sometimes a month or two, to perfectly manufacture the lasting tribute. Before the monument has even been completed, we are already taking care of the cemetery paperwork and installation details. 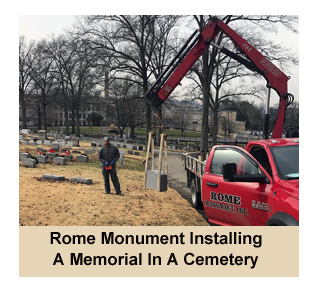 When the work of crafting the monument has been completed, we drive our installation truck to the cemetery and then install the memorial above the approriate grave site. We have taken pictures of thousands of the monuments we have designed and installed in Western, PA. Many of the photos of these unique headstones and cemetery memorials are showcased in easy-to-understand categories in our online Design Gallery. To watch a video to quickly learn how to use the Design Gallery to get ideas, click here. 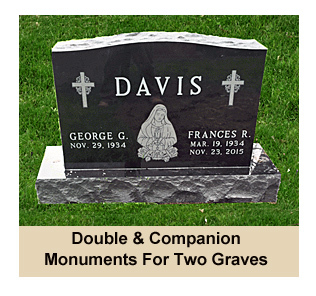 Featured in the gallery are bronze memorials, flat granite grave markers, upright headstones, memorial benches, mausoleums, bevel and slant style gravestones. If you or your family are considering a memorial for a loved one (s), we invite you to view pictures of monument designs in our Memorial Design Gallery for ideas. If you find a design you like and would like to request a brochure, get an estimate or place an order, let us know by calling 724-770-0100, emailing us at info@romemonuments.com or completing a Contact Form. 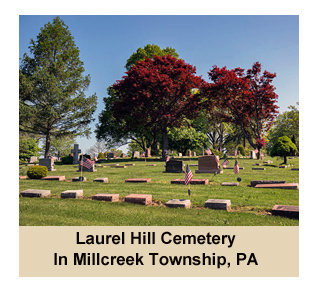 We install cemetery memorials in every cemetery in Northwestern Pennsylvania including the following memorial parks in the city of Erie.